Merlin lounging in his baby pool after playing ball. during the summer creating a very oppressive heat which can affect all of us. is never a good idea to leave your pet in a parked car with the windows cracked, ever. Association on how quickly temperatures rise. of a pickup truck, use a secured, appropriately sized and ventilated dog kennel. and happily waiting for your return. Libby prefers the amenities of the AC and a fan! please us that they won’t complain when their paws are burning. help with cooling and can be lots of fun for them too. sure it’s uncomfortable for your pup. Skylar enjoying the cool sand in the shade. around the nation report a dramatic increase in lost pets during the holiday. noises or vibrations there is a ‘safe place’ in the house for our dogs to retreat to. deserve to have an awesome and stress free summer too! Dr. Karen Becker, DVM, integrative wellness veterinarian. HealthyPets.Mercola.com. 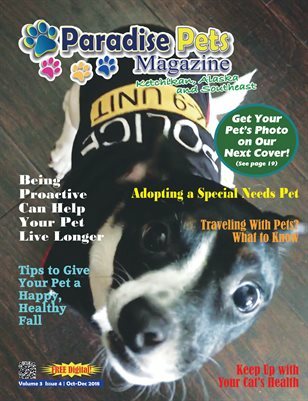 This article was originally published in Paradise Pets Magazine, Key West, FL Jun-Aug 2016 Vol. 2 Issue 3 issue. 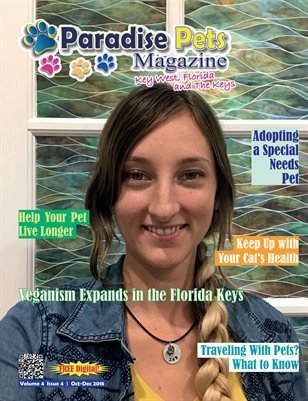 Click the cover to read the entire issue free at Magcloud! This issue is also available free at ISSUU and Magzter!